Many Arabs are concerned less by the nature of ISIS atrocities than by the fact that they aren't committed primarily against Israelis. ISIS, a radical Islamist group, has killed thousands of people since it declared an Islamic caliphate in June 2014, with the city of Raqqa as its de facto capital. It captured tremendous international attention by swiftly conquering large swaths of land and by releasing gruesome pictures of beheadings and other means of executions. In Israel, concern is increasing as ISIS nears Israeli borders. Yet, several analyses of the threat ISIS poses to Israel seem to be unnecessarily alarmist. ISIS is primarily successful where there is a political void. Although the offensives in Syria and Iraq showed the Islamic State's tactical capabilities, they were directed against failed states with weakened militaries. When and where ISIS has met well organized opposition by non-state entities, such as that posed by Kurdish militias, the group's performance has been less convincing. Note: I posted this last week with the embed from Fox News -- it didn't work, so I am posting it again with the embed from You Tube. If this is an illustration of Kerry's grasp of the facts, it is no wonder we came out on the short end of the stick. 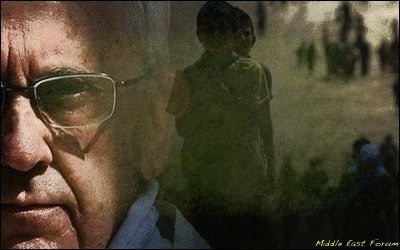 Arlene Kushner on Reason For Hope -- While Reasons for Concern During "Ramadan Rage"
Raymond Ibrahim: Where Is the Pope's Encyclical on Christian Persecution? Where Is the Pope's Encyclical on Christian Persecution? Pope Francis recently released a new encyclical. Portions of it deal with environmentalism, global warming, and climate change. Naturally, this has prompted controversy. It's noteworthy that Francis didn't merely make a passing comment on global warming during this or that sermon, but that he issued a papal encyclical on the matter. Encyclicals are much more formal and significant than remarks made during mass. They are letters written by a pope and sent to bishops all around the world. In turn, the bishops are meant to disseminate the encyclical's ideas to all the priests and churches in their jurisdiction, so that the pope's teaching reaches every church-attending Catholic. The flotilla, carrying a total of 47 passengers, was comprised of four boats, lead by the largest – the Swedish-registered “Marianne of Gothenburg,” with some 20 passengers aboard. When all diplomatic efforts to re-route the flotilla failed, a political decision was made to stop it at sea. During the night last night, three Israeli navy boats approached the “Marianne” in international waters – some 100 nautical miles from shore - and in accordance with international law, repeatedly advised the lead boat to change course. When there was no compliance, the “Marianne” was surrounded; Navy commandos from Shayetet 13, the special forces unit of the Israeli Navy, boarded, seizing control of the boat without violence or incident. The other three boats in the flotilla turned back. The “Marianne” will be brought to the port in Ashdod. After its crew and passengers are questioned, they will likely be deported via Ben Gurion Airport. Jerusalem - As the UN report on the 2014 Gaza War is submitted to the Human Rights Council today, a group of military, legal, and Middle East experts will present an alternative voice in Geneva. 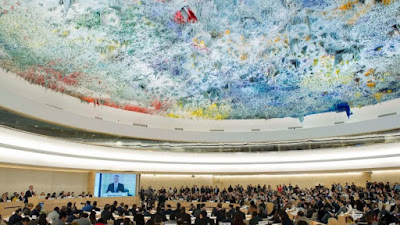 Through statements to the Council and in side events, NGO Monitor and UN Watch, along with Colonel Richard Kemp, Prof. Gerald Steinberg, Jonathan Schanzer, Anne Herzberg, Uzi Rubin and Hillel Neuer, will critique the UNHRC report and identify key issues that the UN failed to properly investigate. The Islamic State demands that Christian "infidels" pay jizya, a per capita tax on non-Muslims sanctified by Islamic law, or forfeit their lives. Muslim demands for non-Muslim "infidels" to pay jizya on pain of death are growing, even as the West fluctuates between having no clue what jizya is and thinking that jizya is an example of "tolerance" in Islam. When the Islamic State invaded ancient Christian regions around the Ninevah Plain last June, it againdeclared: "We offer them [Assyrian Christians] three choices: Islam; the dhimma contract—involving payment of jizya; if they refuse this they will have nothing but the sword." 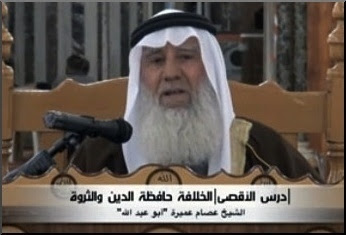 Palestinian preacher 'Issam Amira recently urged his followers to wage jihad against non-Muslims "when they refuse to convert to Islam or refuse to pay jizya." The Islamic State—which most Western politicians ludicrously insist "has nothing to do with Islam"—is not alone in calling for jizya from Christian "infidels." In 2002, Saudi Sheikh Muhammad bin Abdul Rahman, discussing the Muslim prophet's prediction that Islam will eventually conquer Rome, said, "We will control the land of the Vatican; we will control Rome and introduce Islam in it. Yes, the Christians . . . will yet pay us the jizya, in humiliation, or they will convert to Islam." When you face your pagan enemy, call them—either to Islam, jizya, or seek Allah's help and fight them. Even if they do not fight [or initiate hostilities], fight them!... Fight them! When? When they fight you? No, when they refuse to convert to Islam or refuse to pay jizya.... Whether they like it or not, we will subjugate them to Allah's authority. In short, if the Islamic State is enforcing jizya on "infidels," demands for its return are on the increase all around the Muslim world. Put differently, if Abu Shadi, an Egyptian Salafi leader, once declared that Egypt's Christians "must either convert to Islam, pay jizya, or prepare for war," Dr. Amani Tawfiq, a female professor at Egypt's Mansoura University, once said that "If Egypt wants to slowly but surely get out of its economic situation and address poverty in the country, the jizya has to be imposed on the Copts." Fight those among the People of the Book [Christians and Jews] who do not believe in Allah nor the Last Day, nor forbid what Allah and his Messenger have forbidden, nor embrace the religion of truth, until they pay the jizya with willing submission and feel themselves subdued(emphasis added). If they refuse to accept Islam, demand from them the jizya. If they agree to pay, accept it from them and hold off your hands. If they refuse to pay jizya, seek Allah's help and fight them. The second "righteous caliph," Omar al-Khattab, reportedly said that any conquered "infidel" who refuses to convert to Islam "must pay the jizya out of humiliation and lowliness. 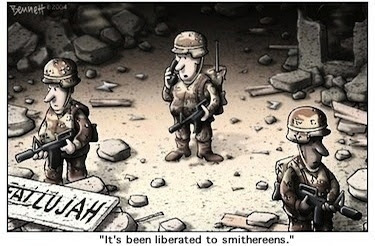 If they refuse this, it is the sword without leniency." [Muslim] jurists came to view certain repressive and humiliating aspects of dhimma as de rigueur. Dhimmis [subjugated non-Muslim Christians and Jews] were required to pay the jizya publicly, in broad daylight, with hands turned palm upward, and to receive a smart smack on the forehead or the nape of the neck from the collection officer. 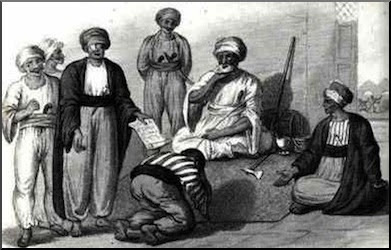 Some of Islam's jurists mandated a number of other humiliating rituals at the time of jizya payment, including that the presiding Muslim official slap, choke, and in some cases pull the beard of the paying dhimmi, who might even be required to approach the official on all fours, in bestial fashion. Conquered non-Muslims were required to purchase their lives, which were otherwise forfeit to their Muslim conquerors. The root meaning of the Arabic word "jizya" is simply to "repay" or "recompense," basically to "compensate" for something. According to the Hans Wehr Dictionary, the standard Arabic-English dictionary, jizya is something that "takes the place" of something else, or "serves instead." Simply put, conquered non-Muslims were to purchase their lives, which were otherwise forfeit to their Muslim conquerors, with money. Instead of taking their lives, they took their money. As one medieval jurist succinctly put it, "their lives and their possessions are only protected by reason of payment of jizya." If you give me all that you own—from the ground to the ceiling—I will not tell you how much you owe. Instead, you [the Christian Copts] are our treasure chest, so that, if we are in need, you will be in need, and if things are easy for us, they will be easy for you. Yet even that was not enough. Caliph Uthman later chided Amr bin al-As because another governor of Egypt had managed to increase the caliphate's treasury double what Amr had. In the words of Uthman, the "milk camels [Egypt's Christians, that is] . . . yielded more milk." Years later, yet another caliph, Suleiman ibn Abdul Malik, wrote to the governor of Egypt advising him "to milk the camel until it gives no more milk, and until it milks blood." Caliph Suleiman ibn Abdul Malik described his Christian subjects as a beast to be milked "until it gives no more milk." According to their doctrine [Islam], whatever is stolen or plundered from others of a different faith, is properly taken, and the theft is no crime; whilst those who suffer death or injury by the hands of Christians [during the course of a plunder-driven raid], are considered as martyrs.... These principles are common to all Saracens [Muslims]. So it was for well over a millennium: Muslim rulers and mobs extorted money from "infidels" under their sway as a legitimate way to profit. Much of this financial fleecing came to an end thanks to direct European intervention. Beginning in the mid-nineteenth century, one Muslim region after another abolished the jizya and gave non-Muslims unprecedented rights—originally to appease Western powers, later in emulation of Western governance. The Ottoman Empire's Hatt-i Humayun decree of 1856 abolished the jizya in many Ottoman-ruled territories. Elsewhere in the Muslim world, the jizya was gradually abolished wherever Western powers were present. 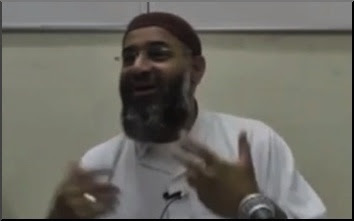 British Muslim cleric Anjem Choudary describes his government welfare payments as jizya taken "from the kafir (infidel)." Today, however, as Muslims reclaim their Islamic heritage—often to the approval and encouragement of a West, now under the spell of "multiculturalism"—jizya, whether institutionalized as under the Islamic State, or as a rationale to plunder infidels, is back. "We take the jizya, which is our haq [Arabic for "right"], anyway. The normal situation by the way is to take money from the kafir[infidel], isn't it? So this is the normal situation. They give us the money—you work, give us the money, Allahu Akhbar ["Allah is Great"]. We take the money." Yet if Muslims—from Islamic State jihadis to Egyptian university professors—know the truth about jizya, the West is today oblivious, thanks to its leading authorities on Islam: Western academics and other "experts" and talking heads. Despite the almost gushing tone related to Muslim rule, the idea that jizya was extracted in order to buy "Muslim protection from outside aggression" is an outright lie. 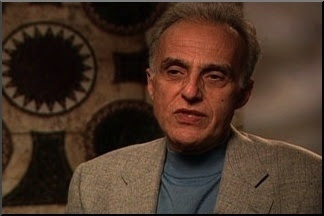 Equally false is Esposito's assertion that jizya was paid to "exempt them [non-Muslims] from military service"—as if conquering Muslims would even want or allow their conquered "infidel" subjects to fight alongside them in the name of jihad (holy war against infidels) without first converting to Islam. John Esposito argues that paying jizya was a blessing for non-Muslims that "entitled them to Muslim protection from outside aggression." Yet these two myths—that jizya was for "Muslim protection from outside aggression" and exemption from military service—are now widely accepted. 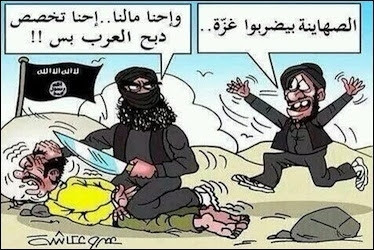 In "Nothing 'Islamic' About ISIS, Part Two: What the 'Jizya' Really Means," one Hesham A. Hassaballa recycles these fabrications on BeliefNet by quotingSohaib Sultan, Princeton University's Muslim chaplain, who concludes: "Thus, jizyah is no more and no less than an exemption tax in lieu of military service and in compensation for the 'covenant of protection' (dhimmah) accorded to such citizens by the Islamic state." In reality and as demonstrated above via the words of a variety of authoritative Muslims, past and present, jizya was, and is indeed, protection money—though protection, not from outsiders, as Esposito and others claim, but from surrounding Muslims themselves. Whether it is the first caliphate from over a millennium ago or whether it is the newest caliphate, the Islamic State, Muslim overlords continue to deem the lives of their "infidel" subjects forfeit unless they purchase it, ransom it with money. Put differently, the subjugated infidel is a beast to be milked "until it gives no more milk and until it milks blood," to quote the memorable words of an early caliph. Note: Most quotations not hyperlinked are sourced from Crucified Again: Exposing Islam's New War on Christians. Full references can be found there. Crucified Again: Exposing Islam's New War on Christians (2013) and The Al Qaeda Reader (2007). Technorati Tag: Jizya and Islam and Infidel. With regard to the establishment of a government, I do not remember the situation ever being quite as unclear and in flux as it is now. Part of the problem is that ministry responsibilities have not been precisely delineated – that is, there is overlap among various ministries. Makes it tougher to understand who is accountable for what, and tends to generate tensions between those heading those ministries. In addition, there are ministries in which responsibilities are shared internally or even farmed out to persons outside the ministry in question. This is the case, for example, with Silvan Shalom, who is not in the Foreign Ministry and yet has been given responsibilities that might be expected to be within the jurisdiction of that ministry, such as strategic dialogue with the US. And, to top it all off, there are MKs who have been given more than one ministry, although we are seeing shifts in that situation. Before I begin to discuss how it could be worse, a couple of housekeeping matters. First, dear readers, please know that I am working overtime on the Legal Grounds Campaign. That’s a good thing, because it means we are developing a solid campaign to coincide with the formation of the new government. But it also means that there is less time for me to write. And so, please understand if sometimes intervals of several days go by in which I do not post. Nothing is wrong. I’ll pick up again on my regular posting schedule as soon as possible. 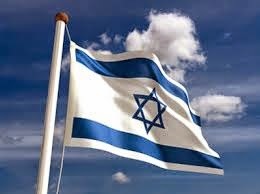 As to the Legal Grounds Campaign, if you have not done so, please do take a look at our website: http://israelrights.com . Please! join the campaign (no cost), and take the time to learn about the campaign and Israel’s legal rights by reading the material on the site. This lovely man is Yaakov Kirschen, originator of the Dry Bones cartoons. When you visit our website you will see the cartoon he did to address our issues. When I wrote about him recently, I referred to him as Yaakov Kirschner. And I do not excuse myself for this silly mistake. I sentence myself to 100 lashes with a wet noodle. Now let’s talk about how it could be worse. What I have in mind is the new coalition that was formed, literally, at the very last minute, by Prime Minister Netanyahu. This is the subject of a conference currently being held by Shurat Hadin, the Israeli Law Center, founded and run by the amazing Nitsana Darshan-Leitner. Current laws of warfare are outdated, she explained in her introductory remarks. The Geneva Conventions never envisioned the asymmetrical warfare that is waged today. We must redefine the laws of warfare, so that democratic states can adequately fight back. Today, terror groups attack civilians, and when democracies fight back, their defense is referred to as a war crime. Terrorists should not be able to apply to international courts as if they were victims when they are the perpetrators. Jerusalem - Amnesty International-UK's (AIUK) decision to reject a campaign against antisemitism in the UK highlights the hypocrisy and moral bankruptcy of what was once a leader in human rights advocacy. On April 19, AIUK held its 2015 Annual General Meeting, and adopted 16 of 17 motions. The only proposed resolution that was rejected called on AIUK to "Campaign against anti-Semitism in the UK," as well as "Lobby the UK Government to tackle the rise in anti-Semitic attacks in Britain" and "monitor anti-semitism closely." According to the motion, "neither AIUK nor the [Amnesty] International Secretariat have undertaken research or campaigning work specifically on anti-Semitism in the UK." 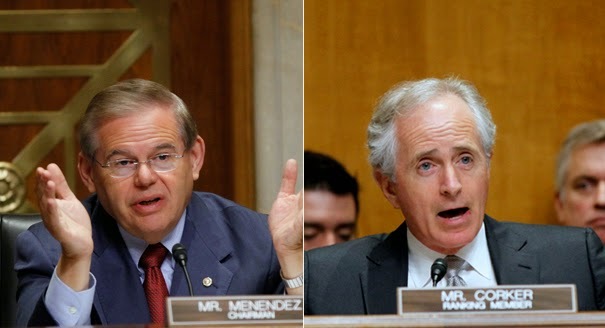 ...on the unanimous vote in the Senate Foreign Relations Committee to advance the bill, sponsored by Senator Bob Corker (R-TN), which would give Congress the right to review the deal currently being worked out with Iran. Yes, as I wrote last week, it is a step in the right direction, as Senators are beginning to insist upon their right to be involved in this critical deal. But it falls short in a very critical respect. “...By treating it as a normal act of legislation, the president will be able to veto the measure. That sets up a veto override effort that will force Iran deal critics to get to 67 votes, a veto-proof majority. If that sounds reasonable to you, remember that in doing so the bill creates what is, in effect, a reverse treaty ratification mechanism. Instead of the president needing a two-thirds majority to enact the most significant foreign treaty the United States has signed in more than a generation, he will need only one-third of the Senate plus one to get his way. The Israel Project sent out an email today on the messaging battle that is going on between the White House and the Senate over the Obama administration dropping its threat to veto the Corker-Menendez bill, legislation that would boost Congressional oversight over any Iran deal. Spokesman Josh Earnest made the announcement at yesterday's press briefing, just as the Senate Foreign Relations Committee was convening for what would be a 19-0 vote in favor of the bill. 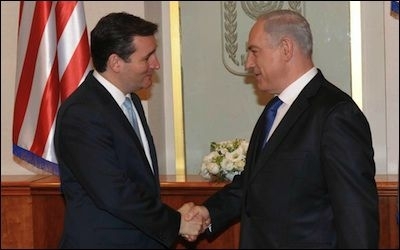 The declaration reversed months of explicit administration threats to veto legislation that would give Congress an expanded voice in Iran negotiations. The White House spin was that Corker-Menendez had been substantively hollowed out by a morning compromise between Sens. Corker and Cardin, so that had become acceptable. The bills' supporters countered that the core oversight requirements remained intact, and that the administration caved because it knew a veto would be overridden. Corker on Twitter: "The simple fact is that the White House dropped its veto threat because they weren’t going to have the votes to sustain a veto" . David Goldman on: Why Don't Americans Trust Republicans on Foreign Policy? Why Don't Americans Trust Republicans on Foreign Policy? Riddle me this, fellow Republicans. An NBC survey April 9 reports that a huge majority (70%) of Americans doubt that Iran will abide by any agreement to limit its nuclear arms–but a majority (54%) still think Obama will do a better job than the Republicans in dealing with Iran! A majority of Americans – 54 percent – trust Barack Obama to do a better job handling an agreement with Iran over its nuclear program, compared to 42 percent who say they trust the Republicans in Congress. But nearly 7 in 10 Americans say that Iran is not likely to abide by the agreement that has been reached. Fifty-three percent think Iranian nukes are a "major threat," and only 37% think they are a "minor threat." Most Americans, in short, think Iran is a major threat to American security and think that Obama's nuclear deal is a joke–but they still want Obama in charge of the negotiations, not us. After Lausanne, Where Does the Agreement/Framework/Understanding With Iran Stand Now? The New York Times, in reporting an "agreement" implies that whatever is announced will fall short of the original goals going into Lausanne. Instead of having a framework agreement, they'll announce some kind of diplomatic understanding. It will lack the commitments necessary to make it a framework, and the Iranians have refused to allow the parties to call it an agreement.